Heat oil in a skillet over medium-high heat. Set aside a plate covered in a few layers of paper towels to absorb oil after frying. 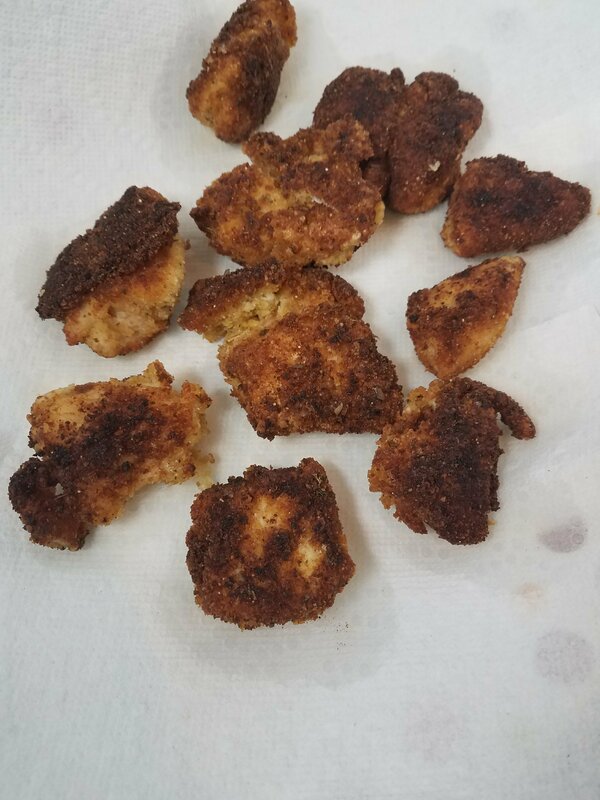 Cut chicken breasts into bite size chunks. Set ingredients into three bowls, left to right: flour, eggs, and bread crumbs. Dredge chicken nuggets first in flour, then egg mixture, and then bread crumbs until thoroughly covered. Set aside. Using tongs, place nuggets into hot oil and heat for approximately 2-3 minutes on each side or until golden brown. Note: the oil will lose heat, so wait for oil to reheat in between batches and keep a close eye on the frying process. Place nuggets on paper towel-lined plate to remove excess oil. Enjoy!